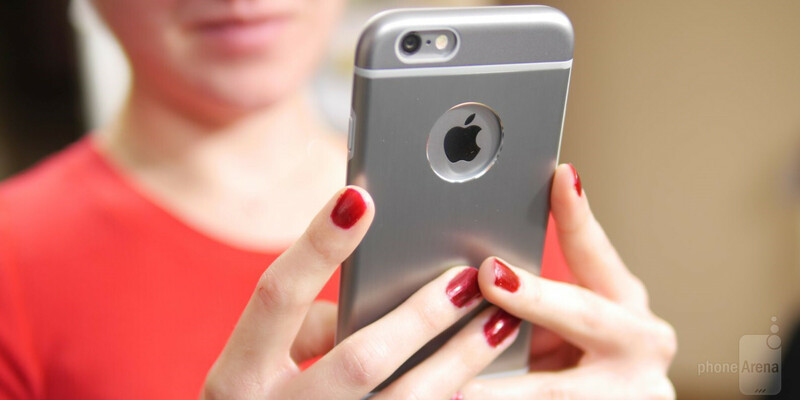 If the plastic material of the Moshi iGlaze case bums you out, then you’ll be pleased to know that the form-fitting case, which perfectly matches the iPhone 6’s design, is also available in a metallic finish – one that truly maintains the phone’s premium aesthetic. Obviously, there’s a higher degree of craftsmanship that accompanies the Moshi iGlaze Armor case for the iPhone 6, seeing that it opts to favor a diamond-cut aluminum backplate. Despite having less color variety than the traditional iGlaze case, the iGlaze Armour benefits from having a sturdier construction. At the same time, it’s relieving to know that there’s barely any sort of increase to the phone’s overall size, as its tight fit also retains the phone’s slim profile. This particular case series is available in three metallic colors, as opposed to the pastel-like shades of the iGlaze series. Regardless, the two-toned color scheme of these cases perfectly complements the three different paint jobs that the iPhone 6 is sporting. Naturally, there are cutouts around the case to give us access to all of its ports and buttons, but we really like how a circular cut is found in the rear to accentuate the Apple logo that’s splattered on there. In our opinion, this specific case is more about style than function. Most of the time, in fact, it’s really difficult to tell that the iPhone 6 is actually inside of a case – due to how the case’s design closely follows the phone. However, we wouldn’t say that its drop protection is up there. Rather, it’s the same deal as the usual iGlaze case, where it’s good enough to safeguard it from minor things such as scratches and minor bumps. Even though its hybrid material provides some level of shock absorption, it’s not to the same level as your hefty size rugged cases. All told, it makes sense why the iGlaze Armour case is priced at $39.95 – that’s because the iGlaze case sells at $29.95. For the extra $10 you’ll be forking over, you get a metallic case instead of a plastic one. For some people, the difference is negligible, so it might be worth it to pay the extra money for a case that exhibits the lovely design aesthetics of the phone.